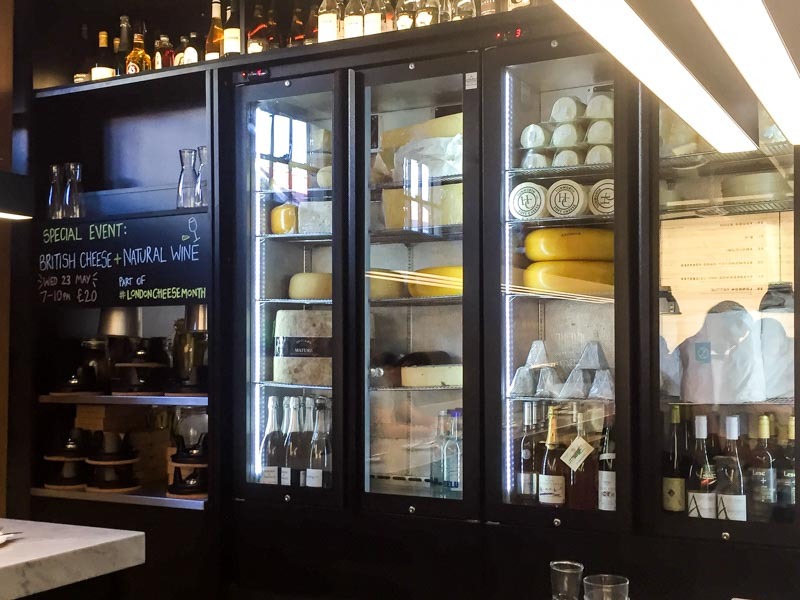 Can’t get enough of cheese AND London? Then you must make a trip to The Cheese Bar in Camden when you’re next in the UK. Yes ya’ll, there’s a whole restaurant dedicated to the cheesiest of dishes, and I was smiling all the way there. 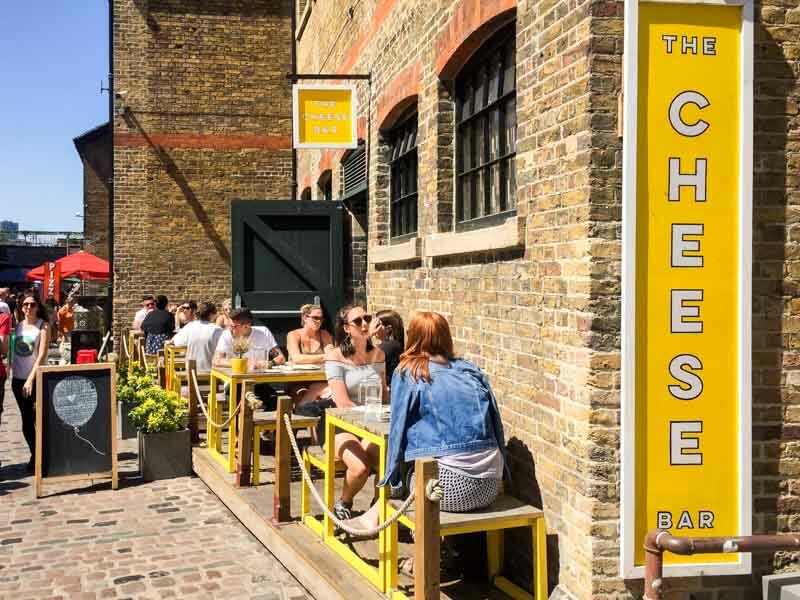 It won’t be difficult to spot when you’re in the area, but Camden Market is a bit of a maze so… follow your cheese gut (or you know, just Google maps it). 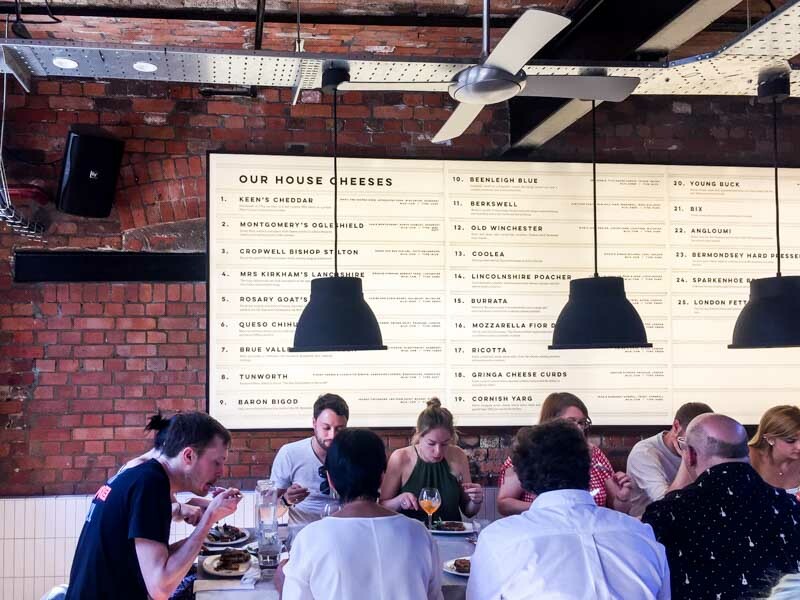 The Cheese Bar is dedicated to sourcing the best British cheese from around the UK, and you can find out all about the different offerings on a huge board on the back wall. 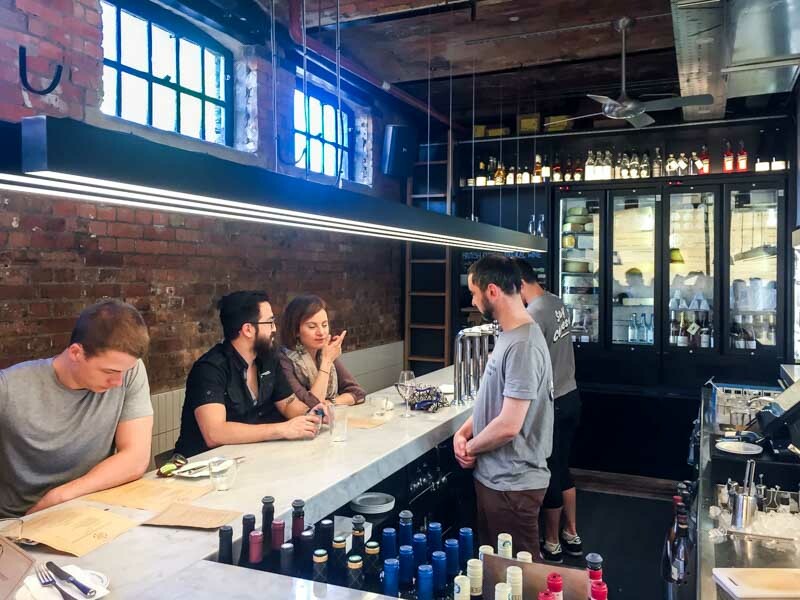 It’s not a very big space so the set-up is basically communal dining-style. Reservations are highly recommended, and it’s easy to do so via the website. You can also choose to sit at the bar if you’d rather not eat facing random people (introverts, I feel you). 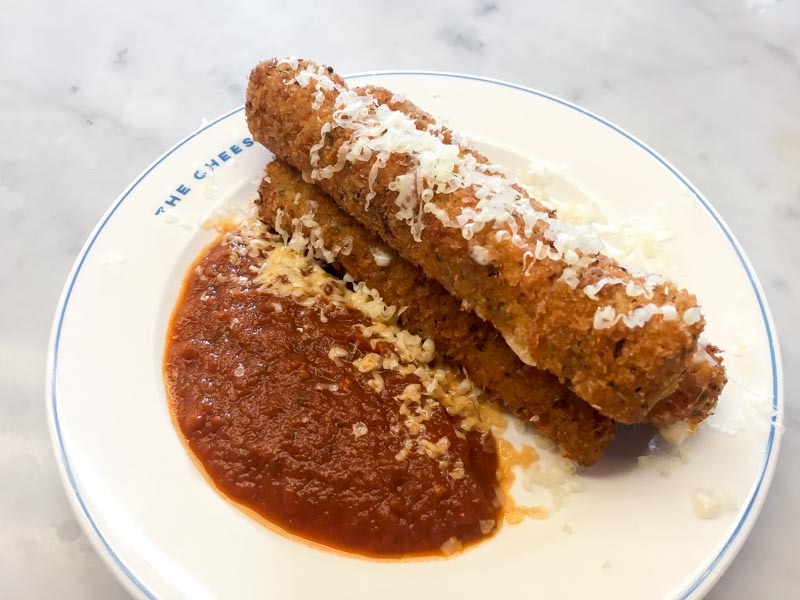 The Cheese Bar’s menu naturally features all-things-cheesy, but it changes regularly (and as stated by the restaurant, sometimes even within the same day!). My dining partner and I struggled to decide, and ended up getting one dish from each menu section besides the ‘To Share’ option: ‘To Start’, ‘Plates’, “Grilled Cheese Sandwiches’ and ‘Sides’. 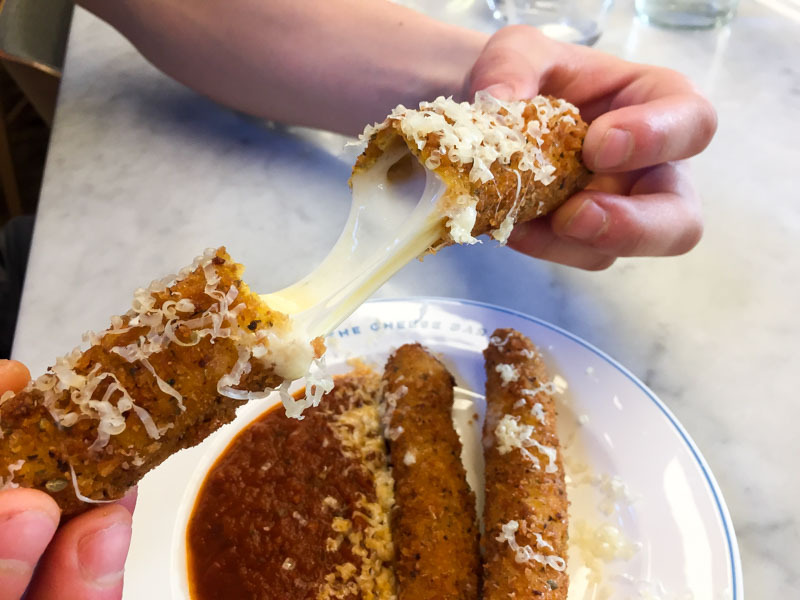 We started with Mozzarella Sticks, Marinara Sauce (£7) because I just had to get some #cheesepull shots – as you can see, I was not disappointed. 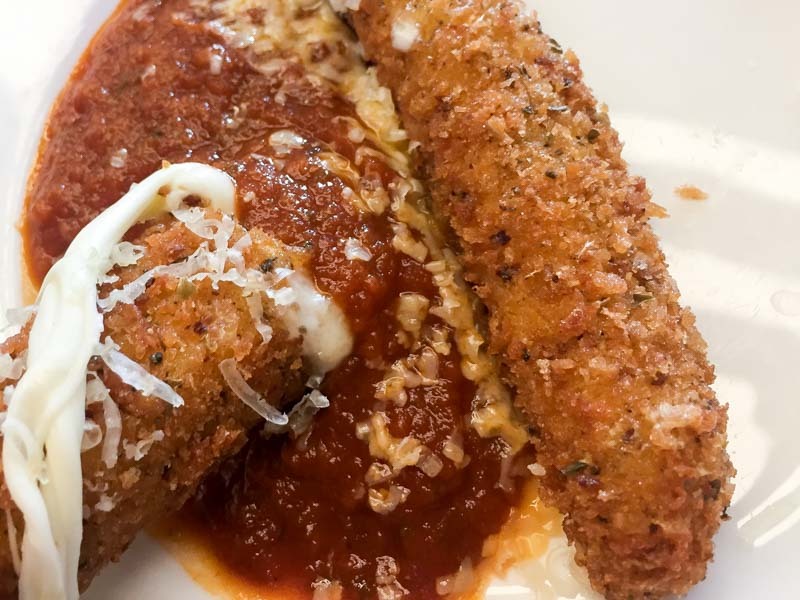 Each portion comes with three mozzarella sticks and a hearty serving of the tomato-based sauce, topped with shavings of more delightful cheese. The breading on the sticks was wonderfully seasoned with Italian herbs, and I think it goes without saying that you should enjoy these while they’re still hot. The marinara sauce had just the right amount of tanginess and sweetness to complement the milky flavour that’s characteristic of mozzarella cheese. This was probably my favourite dish of the day and a must-order when you visit. 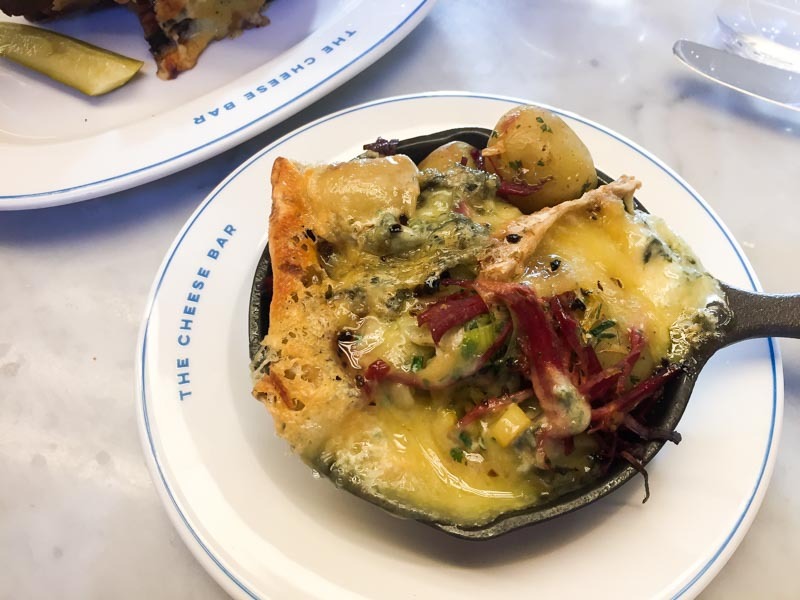 Under ‘Plates’, there were options like poutine, mac n’ cheese and nachos but we couldn’t resist the Blue Cheese, Raclette, Young Buck, Salt Beef, Potatoes, Honey (£8). The dish sounded perfectly balanced from the ingredients alone, and I’m a fan of blue cheese so I was pretty intrigued. It was a piping hot medley of melted goodness, and I tried my best to get all the components into one bite. 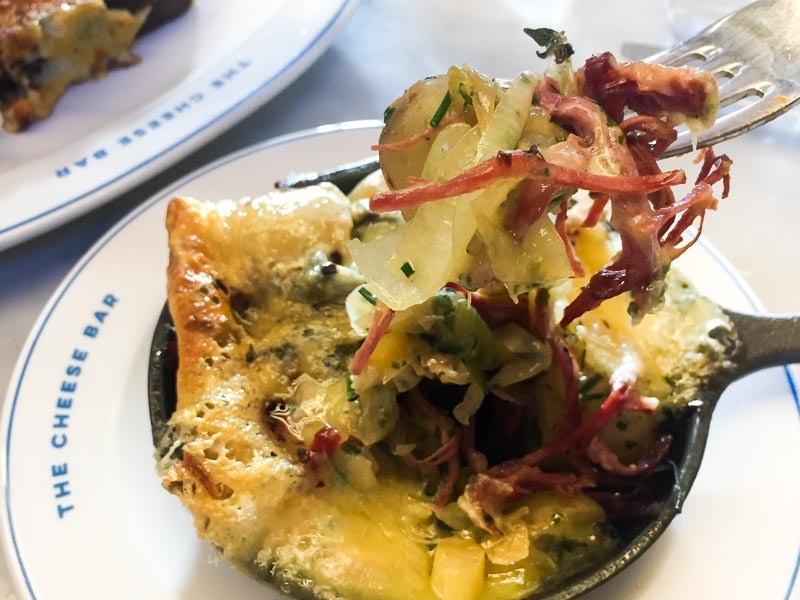 The pungent flavour of the blue cheese was mellowed out by the sweetness of the onions and honey, while the bits of salt beef added the seasoning that the dish needed. It was delicious but I’m glad we got it to share because it was teetering on becoming a bit too cloying after a few mouthfuls. Plus, it only really hit the spot when it was still hot, and otherwise turned into a gloopy mess. If you don’t like ‘Grilled Cheese Sandwiches’, who even are you. There was a small selection to choose from under this menu section, with quite interesting flavour combinations and unique cheeses. I went back to basics that day though and chose the Quicke’s Cheddar, Ogleshield, Mixed Onions (£6.50). Ogleshield is a particularly rich and creamy cheese, so it paired really well with the sharpness of the cheddar. All in all a good cheese toastie, and I loved the accompanying pickle for a sour kick between bites. When it came to choosing something from the ‘Sides’, my dining partner and I said in unison: Cheesy Truffle Chips (£6). Singapore was hit by the truffle fries wave not too long ago, and we’re no stranger to this now-iconic pairing of flavours. 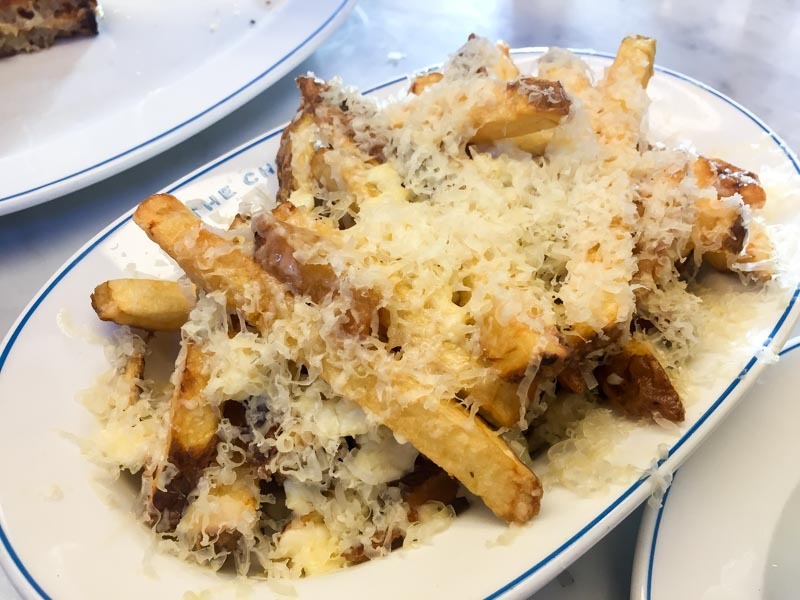 There was a hearty amount of thick-cut fries (or chips as the Brits would say), covered in a mix of lots and lots of melty, slightly salty cheese. The truffle flavour came from truffle oil (not sliced truffles, boo), but it wasn’t too overpowering. My only gripe with this dish? The chips became soggy wayyyy too quickly, which was to be expected, but still a little disappointing. 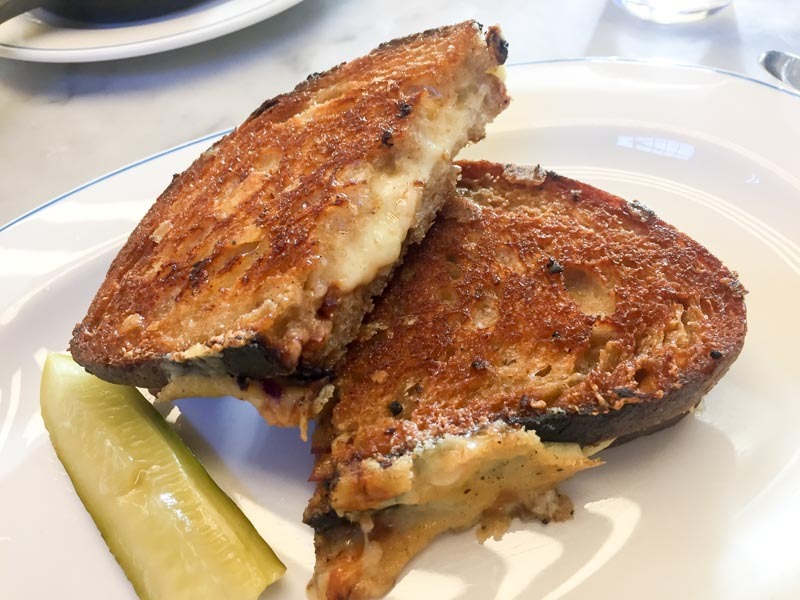 The Cheese Bar is an institution for cheese lovers everywhere, but for me, one visit was enough. I will potentially return once more to try the fondue, which was unfortunately too much for us to handle on the hot day when we visited. If you’re planning a visit to London soon, the restaurant’s Fondue Thursdays are now back from November 2018 – February 2019, and you can enjoy a Fondue Feasting Menu for just £15 per person (minimum of two diners). Can you handle the cheese?